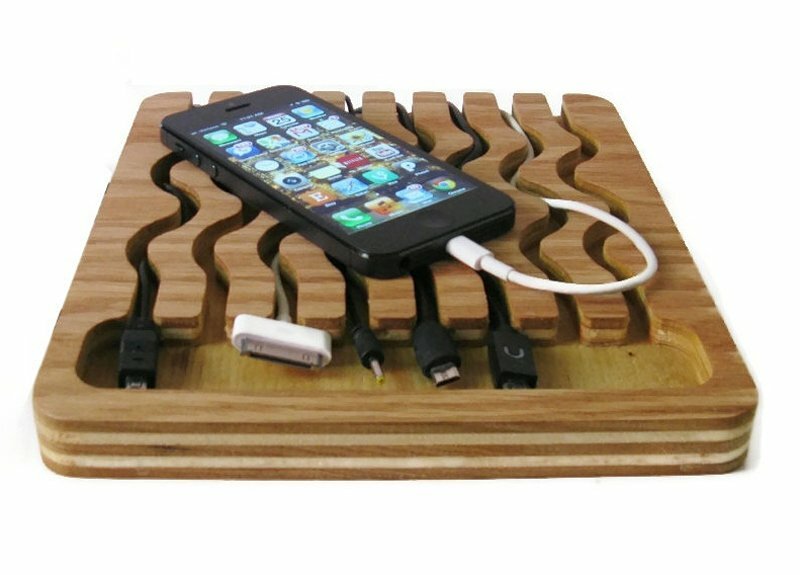 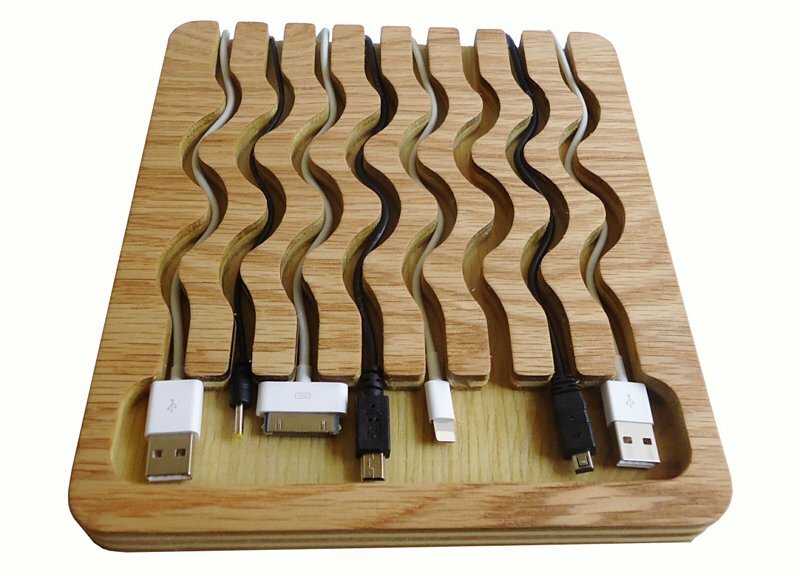 A neat cable management tool that keeps up to eight charger cables tangle-free and within reach. 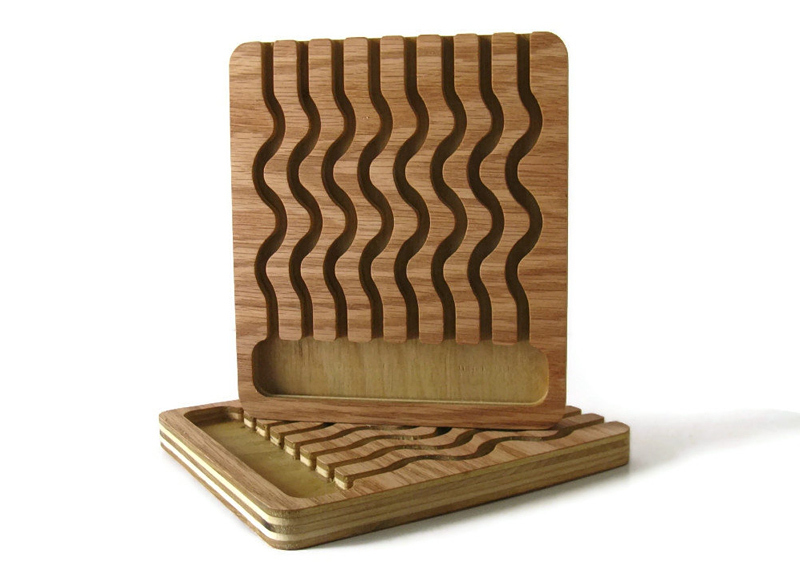 It’s handmade out of birch, birch plywood and oak plywood. 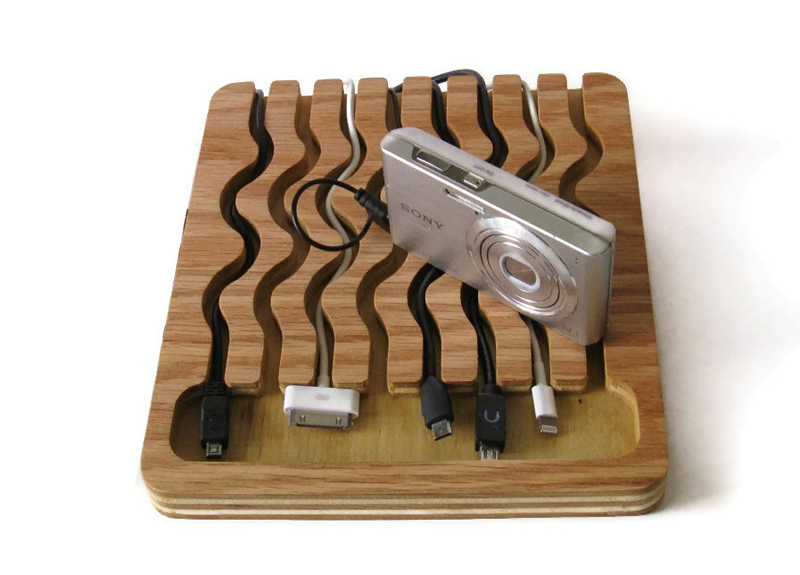 It also has felt feet so it won’t scratch your furniture.